A recent report by the Harvard Joint Center for Housing Studies, Projections and Implications for Housing a Growing Population: Older Adults 2015-2035, it is predicted that by 2035 one in five people will be aged 65 and older while one in three households will be headed by someone of that age and older. The report included the use of a reverse mortgage as an important financial tool for older Americans in the future and cited it as a source of funds making it feasible to age in place. 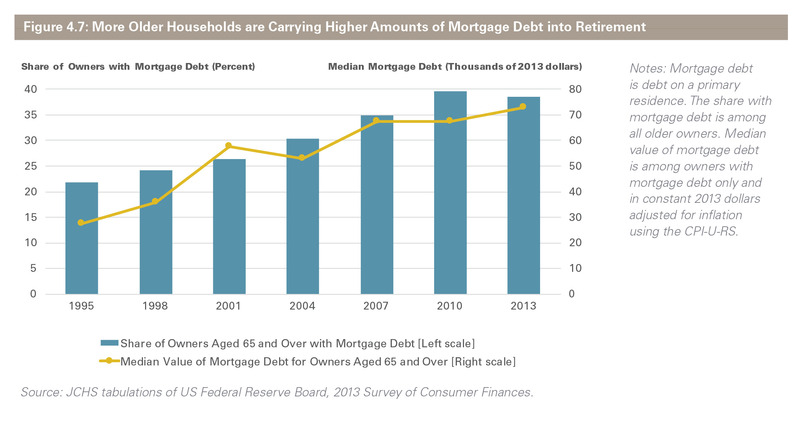 The study also analyzed the amount of debt those in the 65+ age group will still have, including existing mortgages. “For those with mortgages they cannot afford but who still have substantial home equity, reverse mortgages may make it more financially feasible to age in place,” says the report. Also discussed in the report was the strong desire older adults have to continue to live their home while they age. This will require those in the retirement planning community to look at creative options to fulfill the needs of their clients. Reverse mortgage can fit strategically into many different scenarios.